How to put AVI, MKV, VOB, MTS video and DVD movie to Nokia C7, N8, E7? Home » Put and play AVI, MKV, VOB, MTS video and DVD movie on Nokia C7, N8, E7? Nokia C7, N8 and E7 are Symbian^3 smartphones, all of the three devices come with big touch screen, which brings impressive visual quality when playing videos and action games. These Nokia phones support a relatively wide range of video codecs, such as 3GPP formats (H.263), D-1, Flash Video, H.264/AVC, MPEG-4, RealVideo 10, Sorenson Spark, VC-1, VP6, and WMV 9. But what to do if your videos are not included in the supported file list? In this article, we will show you how to rip DVD movie to Nokia C7, N8, E7, or convert incompatible MKV, AVI, VOB, MOV, M4V, MTS, etc. to Nokia C7, N8, and E7 for playback. What customers say about this program? 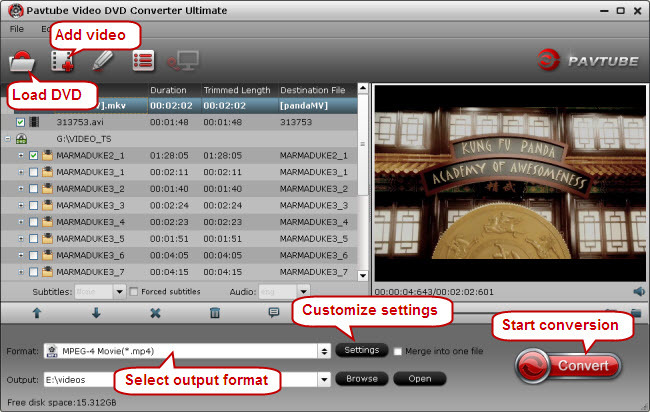 Run Pavtube Video DVD Converter Ultimate suite, click “Add Video” button to load your various video files, such as MKV, AVI, VOB, MPG, MOV, MTS, M2TS, TiVo, and more. If you’d like to rip DVD to Nokia C7, N8, E7, just place DVD in optical drive and click “Load DVD” to load the DVD. The Video DVD to Nokia C7, N8, E7 Converter supports batch conversion, so you can add multiple files into it at a time to do format conversion. Select the items you’d like to convert and set subtitles and audio track for each chapter. Click on “Format” bar and to select a video format that is supported by Nokia C7, N8, E7. 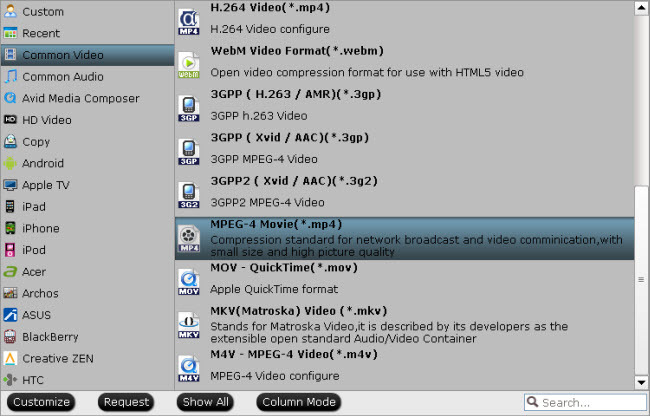 For example, you are suggested to follow “Common Video” > “MPEG-4 Video (*.mp4)”. Nokia stated that Symbian ^3 OS smartphones support video formats encoded with H. 264, MPEG-4 or VC-1 (WMV), but it turns out H.264 and VC-1 videos may not play well on Nokia N8. 3. Adjust resolution, bitrate, etc for Nokia C7, N8, E7. 4. Convert videos to Nokia C7, N8, E7/ Rip DVD to Nokia C7, N8, E7. Click “Convert” to start converting MKV/ ripping DVD to Nokia C7, N8, E7 friendly format. The Video DVD to Nokia C7, N8, E7 Converter will finish conversion at speed without any audio and video out of sync issues. Once conversion is done, you can click “Open” button to get the final output files for your Nokia C7, N8, and E7 for entertainment.